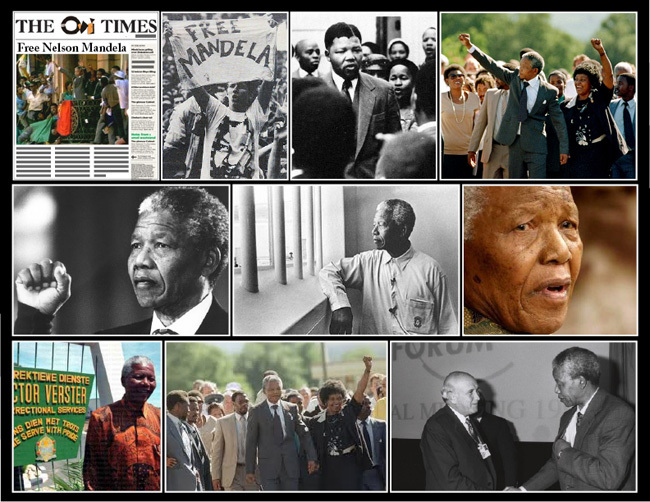 February 11th 1990; leading anti-apartheid campaigner Nelson Mandela was freed from prison in South Africa after 27 years. His release followed the relaxation of apartheid laws - including lifting the ban on leading black rights party the African National Congress (ANC) - by South African President FW de Klerk. Mr Mandela appeared at the gates of Victor-Verster Prison in Paarl at 1614 local time - an hour late - with his wife Winnie. Holding her hand and dressed in a light brown suit and tie he smiled at the ecstatic crowds and punched the air in a victory salute before taking a silver BMW sedan to Cape Town, 40 miles away. People danced in the streets across the country and thousands clamoured to see him at a rally in Cape Town.